Why rent from Sowerby Bridge Wharf Ltd? Our offices to rent are well designed and equipped for your needs. We have a good choice of units to let. 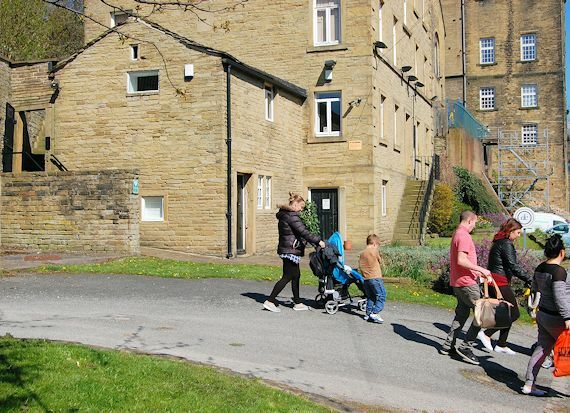 Sowerby Bridge Wharf (near Halifax, West Yorkshire) is a wonderful place to rent your office, workspace or unit. We look after our tenants in a helpful and understated way. We provide service in depth. We are on site all day, and respond quickly to your needs. There is ample car parking close to your office, with room for visitors and no charges. There is a wide choice of catering on site and nearby in Sowerby Bridge. There's a huge choice of cuisines, beers and ambience. Entertain your clients right here at the Wharf. Unfortunately we have nothing available right now.